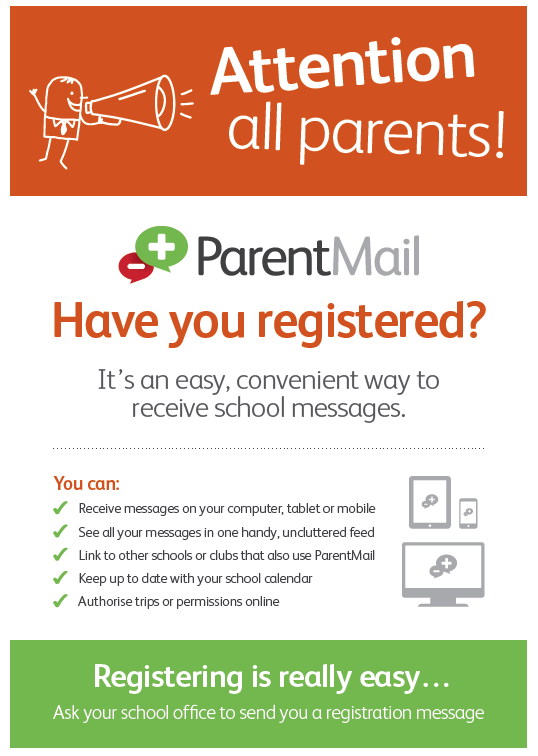 It's easy to use ParentMail. All you need to do is provide us with an email address or a mobile number and we can enter you onto the system. If you haven't already registered we will send you a registration link. To register with ParentMail you'll need an email address. It's even easier to use if you download the FREE ParentMail app from either the Apple App store or the Google Play store. We have launched our NEW online payment system through ParentMail +Pay. This enables you to pay for your child's trips, clubs, nursery and breakfast club fees online. You should receive a notification in your app when a trip or event becomes 'live' and payments can be made. You can also report your child's absence via the FREE ParentMail app. This can be downloaded in either the Apple App store or the Google Play store. We send out newsletters and other letters via ParentMail as this will save the school money in copying and paper charges. It also help towards our application towards our Eco-Schools award as our carbon footprint will be reduced! Paper copies will be available in the foyer in the letter carousel. If you have any queries, please do not hesitate to call in and see us at Reception.